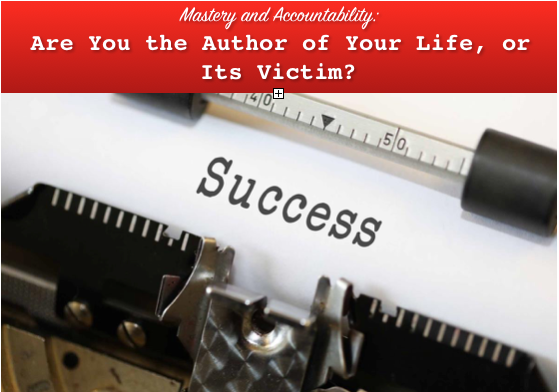 Mastery and Accountability: Are You the Author of Your Life, or Its Victim? We’ve all heard the saying “self-made man.” While I’m sure it describes someone who beat the odds and didn’t master a skill by going to a traditional four-year college with lots of money, it doesn’t mean he (or she) got there alone. In fact, I would challenge you to look into anyone you admire for their success and find that at no point did they lean on a mentor or coach. So how did having a coach make the difference? In the book, “The One Thing,” author Gary Keller echoes what I feel business coaching helps people achieve. Personally the first two remind me of so many people who say they want these things, but without anyone holding them accountable, words are pretty cheap. Let’s dive in a little deeper to each of these factors. For most people, they aren’t starting at zero. So developing the mindset of mastery involves knowing what your skills, talents and gifts are - things you know already. Then it’s adopting the mindset of an apprentice to learn what you don’t know. One is behind you, and the other lies in front of you, and if you’re serious about getting to that next level, it’s time to start “practicing” in order to do it. Some psychologists have even boiled it down to how many hours anyone should invest in achieving mastery: 10,000 hours. If that sounds out of reach, remember nothing worthwhile is going to happen overnight. If you take the number of days you work in a year - 250 - and estimate how much time each day that you want to invest, and you have the number of years it will take to get there. Yes, years. If you want to be considered an elite performer, your mindset must be set on the long haul. Doing your Best: Are You Entrepreneurial or Purposeful? I coach many entrepreneurs. However, I realize they come to me because they are simply not where they want to be. They need to step out of their comfort zone, and they need to be motivated to do so. I can’t bestow upon them that motivation, no one can. However, I can point out where they are getting in their own way as they try to climb up. Thinking entrepreneurially is good until it makes you comfortable with what comes naturally to you. If you want to get to the next level, it’s about doing things that aren’t natural. Instead of acting without having to think about it, people who want to achieve mastery act Purposefully. So, you’re used to doing things a certain way, and they’ve worked so far. However, what if you took a step back and really thought about how you might do things differently. This takes a little humility because it means you may have to admit how you’ve been doing things weren’t the best way. It also takes thought as you investigate other ways to achieve a better result. You may reach out to other colleagues or professionals who can help. Not taking this step is the definition of insanity: “Doing the same thing over and over and expecting a different result.” If you want a different result, you have to do things differently. So get uncomfortable, and get purposeful. And get results. It doesn’t matter if you’re trying to achieve a personal best in sales, or in weight loss, having someone you are reporting to is invaluable. If you’re struggling, an accountability partner helps you review what you’re doing and gives you feedback on how it might be adjusted. In pursuit of mastery, you’re owning your success, or your lack of it. Accountable people however take the setbacks that inevitably occur and persevere. They do so with someone to help them absorb, rethink and act. Without that support, you’re likely to fall into a mindset of “I tried it, but it’s not working, and it’s because...” (this is where you fill in a list of excuses). This makes you a victim, not accountable. So, how do you want to become successful? A master? Will you author your life, or become a victim of it? Neither approach is one we’re born with - we learn these behaviors. But the good news is we can change that, and there’s no shame or admission of weakness to enlist the support of an accountability partner, someone who will help you define and track your goals, write them down and keep you true and honest to them. It is an investment of time, and yes money, but for those with such a partner are twice as effective in reaching their goals. 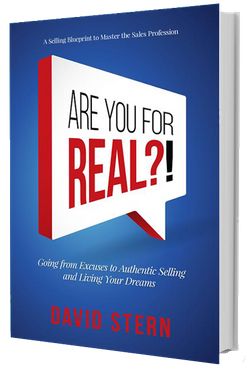 That leaves one question: Are you willing to make the investment to become the author of your life?